Designed to achieve the best possible ride for your 4x4. 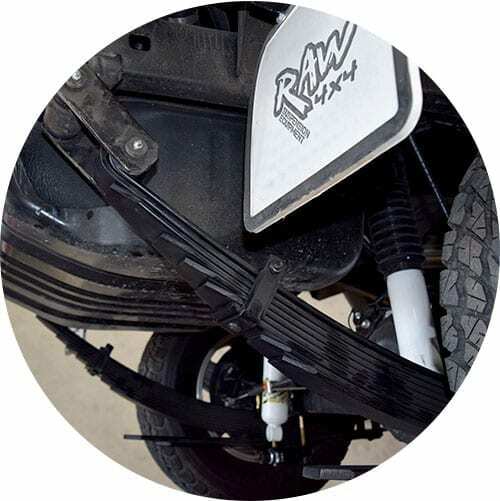 Leaf springs not only support the weight of your vehicle but position the vehicles axle and act as a torque rod to stop “axle wrap” upon acceleration. 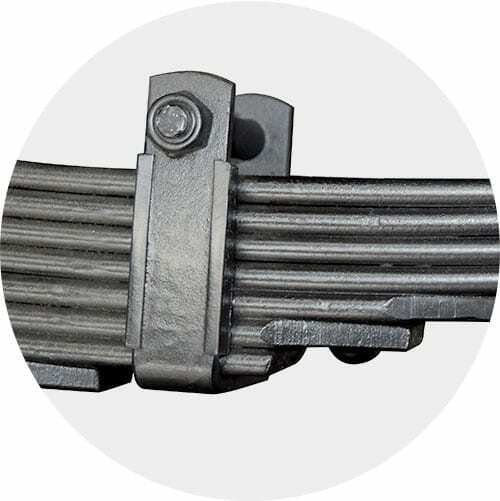 It is important that you choose a leaf spring that is suitable for what you do with your vehicle 80% of the time. 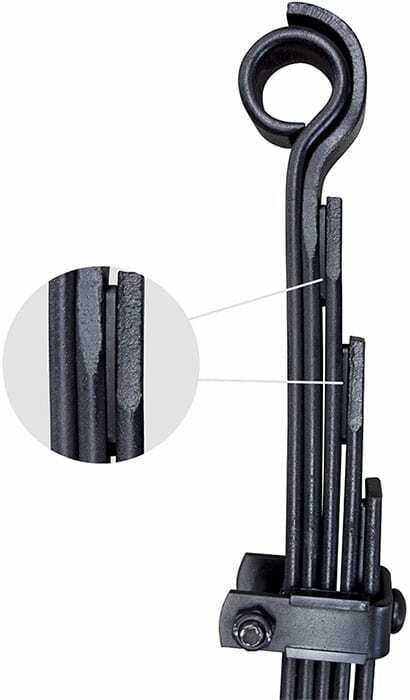 Raw 4×4 leaf springs have been designed to achieve the best possible ride for your 4×4 whilst increasing your ride height, load carrying ability and improving overall suspension travel. 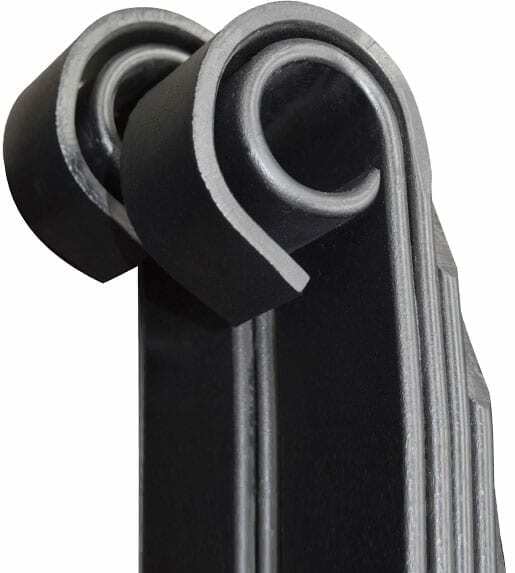 High strength alignment clips with nylon insulators to reduce wear and noise. 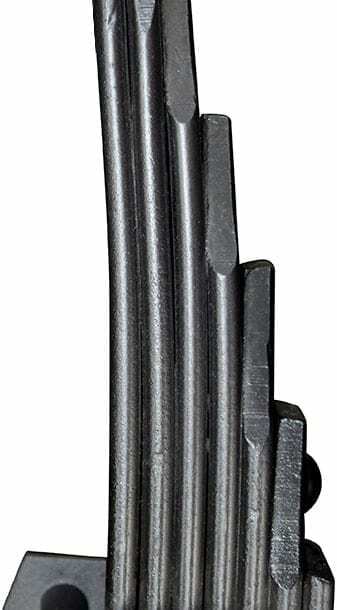 Nyloc nuts are used to secure the clips to prevent losening which can lead to tyre damage. 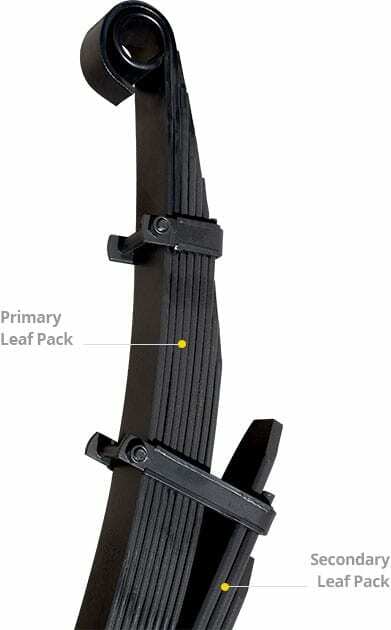 Two stage leaf pack for additional support when the vehicle is heavily laden. NitroMax mounted with leaf spring suspension in action.